Even action cameras also demand little care because these delicate devices may also get destroyed. 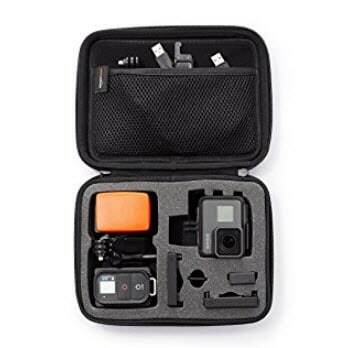 The best trick is to buy a cushioned case for your GoPro device so that it can stay safe when you go on travel. These protective cases make your camera easy to carry, store and convenient to use. With specially designed action camera cases, your camera as well as accessories both stays protected and well organised. The interior portion of these cameras is designed with premium EVA foam that assures complete safety of camera and keeps all accessories at right place. 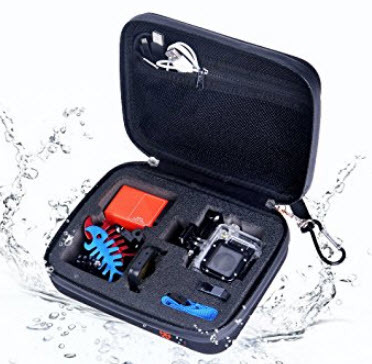 If you are searching for a cheap but enormous option for your costly GoPro camera then Amazon Basic carrying case is best option for you. The inner portion of this case is lined with special forth cushioning and it consists of perfect openings at different positions so that camera apparatus can be perfectly supported. The exact cuttings offer perfect assistance during motion recording. There is enough space to carry 2 additional batteries, memory cards, remote control, auto charger, POV float and suction container mount etc. It is best choice for action camera users in their travelling needs. This special designed GoPro case will assist users to keep their cameras as well as accessories united at single place in a wide and well organised space. The best thing to know is that you can customize the internal settings as per your accessories and gear that you need to fit inside. This case is durable enough and can also protect your device from snow or rain with its water proof stuff. Thus if you love to go on hill stations to capture beautiful sites then it is good to buy GoPro Casey with payment of $49 soon and it will make your camera secure for long run. This weather resistant case is designed with stunning fabric and it can protect your GoPro camera as well as accessories easily. It appears like a spacious living room for your gear also add protection against water and dust so that you can enjoy your tours without any trouble. 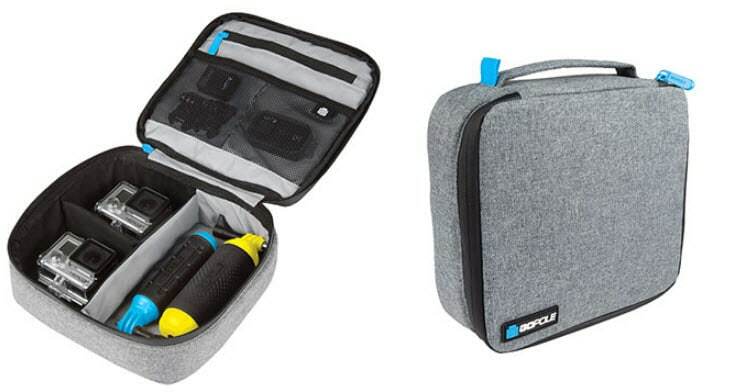 There is an additional zip pocket where you can keep your memory cards and cables for easy access whereas two other mesh pockets are designed to hold batteries, remotes and clips etc. The material is durable from inside as well as outside and it supports healthy protection of camera during travelling. If you are searching for a low cost water proof case then nothing can be better than Shineda for you that can be ordered online with payment of $5 only. This case is designed with Oxford cloth and the surface is protected with additional water resistant zipper so that your device can have dual protection from water. There are so many well shaped compartments inside this case where you can easily put your gear and its other accessories. 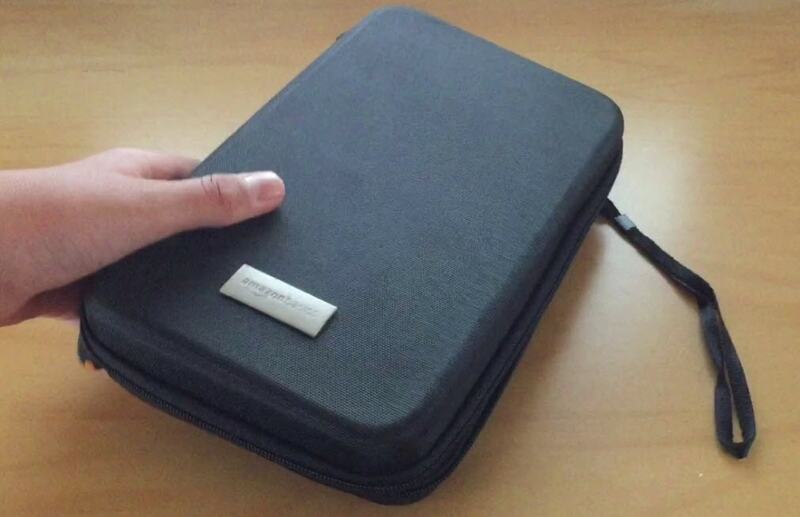 The soft layer of case helps to add additional protection for delicate accessories such as batteries or LCD etc. If you demand perfect safety for your valuables at low price then Shineda case is best for you. 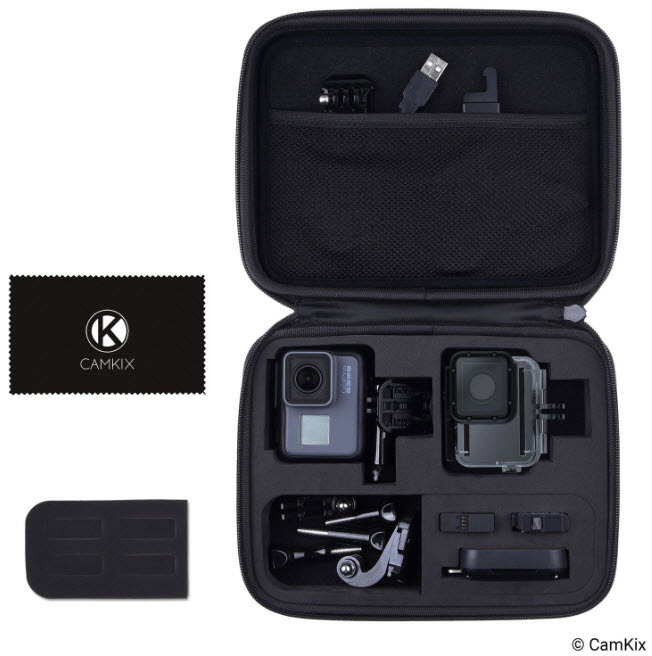 This advanced case can store your GoPro camera and major accessories with ease. 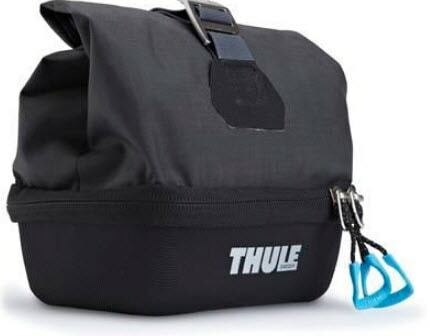 There is enough space for USB cord, Bac Pac, battery charger, spare batteries and other big or small accessories. This waterproof case is protected with additional layer of zipper thus water just flow without any saturation on case. You will be glad to know that external material of this case if coated with strong water repellent material whereas the anti fog inserts keep your device free from moisture and humidity. It can handle everything with ease in transportation and is mostly preferred for GoPro Hero3+/4 and Hero 3, Hero 2 cameras. Here is a perfect case for your latest GoPro model that can keep your device safe all the time. This case is suitable for GoPro series, Sony and Contour action cameras and there is huge space inside for all kind of accessories. Best thing to know about this case is that it is designed with crushproof pads and the camera is placed inside a divider system so that your device can safe even during toughest conditions. Separate space is maintained for batteries and SD cards so that they can be accessed with ease whenever needed. It is lighter in weight and takes lesser space in your backpack. The specially designed shell of this case can protect your device from bumps, rain, dust and dirt etc. It is developed with a two layer protection with very high level of craftsmanship. The case is sturdy enough and versatile for complete protection of your camera. The case provides enough space for selfie stick, battery, charger, LCD, Wi-Fi remote and tripod etc. 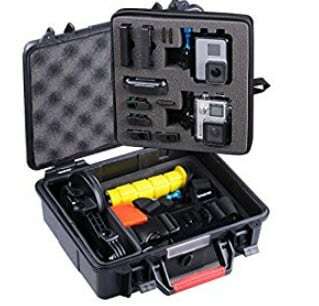 The overall weight of this case is 12.6 ounces and it is perfectly suited for Hero3+/4 and Hero 3, Hero 2 GoPro cameras. 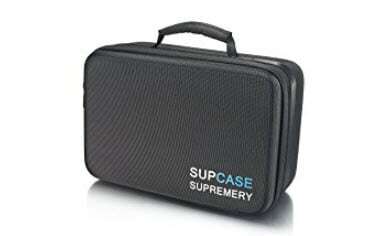 This case help users to keep all their accessories aligned and well organised whereas the EVA foam padding make things much safer during travelling hours. There is an additional durable zipper along with carrying handle; all these combine to create a low cost safe case for GoPro users.